Cactus (Cactacées): growing, planting, caring. The Cactaceae is a large family of dicotyledonous plants comprising about 2500 species in nearly 90 genera. The word "cactus" no longer appears in the current classification but as a suffix of certain genus names, such as Echinocactus, Pterocactus, Stenocactus, etc. It often refers to the barbaric fig - Opuntia ficus-indica - a naturalized plant very common on the shores of the Mediterranean. Cacti are herbaceous plants or shrubs, usually with very particular shapes, with chlorophyllic function transferred to the stems. Often spiny, perennial, most often succulent, cacti are sometimes epiphytic or climbing. 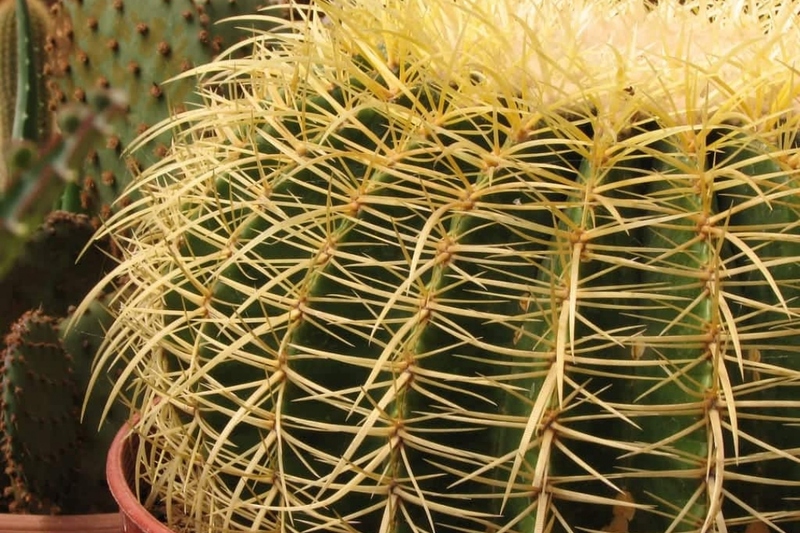 The current appearance of cactus is mainly due to the adaptation to drought conditions, the development of the storage function and the reduction of evaporation surfaces. To distinguish true cacti from plants that resemble them, reference must be made to the criterias belonging to the Cactaceae family. The identification is done by the presence of areoles, and, as more generally in botany, by the flowers and fruits. Cacti cover a wide range of shapes and sizes. Spherical, cylindrical, pillar-shaped, with pointed or racquet-shaped leaves called cladodes ... The largest is Pachycereus pringlei, with a measured size of 19 meters, the smallest is Blossfeldia liliputiana, 1 cm of diameter! We distinguish a few different forms: tree or shrub, columnar, globular, drooping epiphytes, and even climbing for a very small number of species!